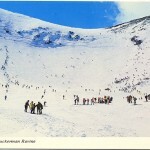 What Carroll Reed employee was the first to schuss the Tuckerman Headwall and win the 1939 Inferno race? Toni Matt, Whom happens to have a ski run at Big Mtn (a.k.a. Whitefish Mtn Resort) Where I used to live an is only 2 hours from Fernie. It is snowing here but we seem to be in a Eastern weather pattern, snow turning to rain. Last week I sharpened my skiis for the first time in 14 yrs. We generally do not sharpen skiis here we just replace as they are only worn out. Toni Matt schussed the headwall at Tucks. If I remember correctly he later said that he did it by mistake rather than by plan. Sometimes he claimed he was so hungover he just wanted to get the damn run over. Ahh, my Alpine hero. 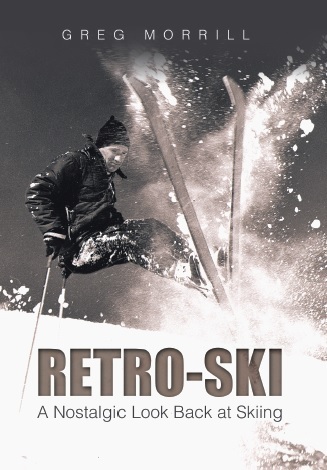 It sure was some heady stuff skiing w/Toni when I was young (a thousand years ago). He was Catamount’s Austrian Ringer (had been Lowell Thomas’s greenskeeper after his bad injury post-Tuckermans) Toni had a 2inch lift one of his Kniessel White Stars to compensate for his shorter leg (broken then rebroken to heal better after the crash that didn’t heal so well). That man was quite a mentor, and so so very wonderful to watch, let alone try to keep up with. Grace and Elegance in motion, that wonderful old man was. As our SRs are forwarded, I’m always too late on trivia. I’ve know most if the answers ( the longevity advantage).